“I Am The Storm...Returned From The Grave.” COMICS! Sometimes I See How Writing A Bit More Off The Cuff Works Out For Us All! According to the yellow circle on the cover of each issue 2014 marked 30 years of Stan Sakai's comics featuring his titular samurai (sigh, okay; ronin) character. 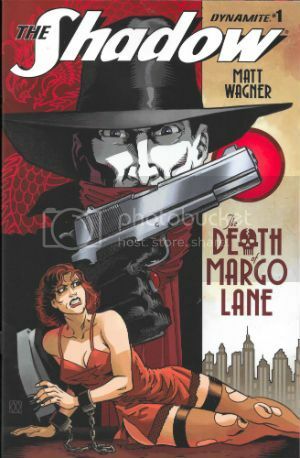 I would dearly love to bluff my way through this piece by pretending I was there at the start and remained a constant reader through the decades separating the character's first appearance in Albedo Anthropomorphics in 1984 and this 2014 limited series. 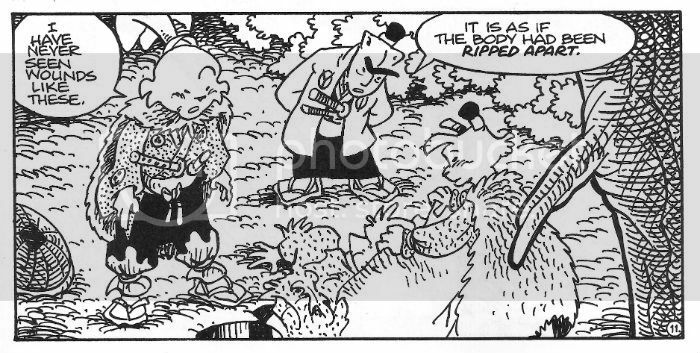 Alas, for most of its publishing history I thought Usagi Yojimbo was one of those crappy B&W “funny” animal comics that boomed and busted back then. Burnt once by a purchase of Adolescent Radioactive Black Belt Hamsters I remained shy upon every later encounter with Usagi Yojimbo. 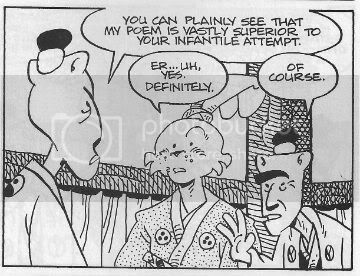 Mysteriously, about three years back, I started buying Usagi Yojimbo. I can't remember why so this anecdote isn't terribly thrilling (let's pretend the fate of the free world hung in the balance) but the fact is I did, and I haven't stopped buying it since. Well, except for that brief period when Stan Sakai stopped making it to work on 47 Ronin (still samurai, but humans this time). 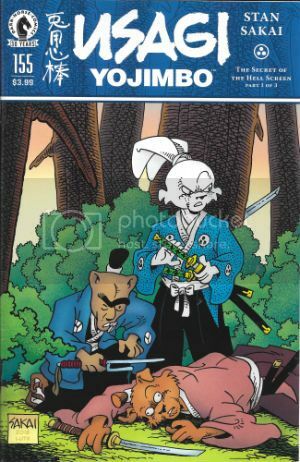 With Usagi Yojimbo:Senso Usagi bounds back in a series set 20 years ahead of the regular series and with an atypically S-F slant. It's an odd move to be sure but it's working. In issue 4 Geoff “Shaolin Cowboy” Darrow writes in to compliment them on their paper stock. That's how well crafted this comic is – Geoff Darrow(!) is so excited about the paper its printed on he is moved to set pen to paper. 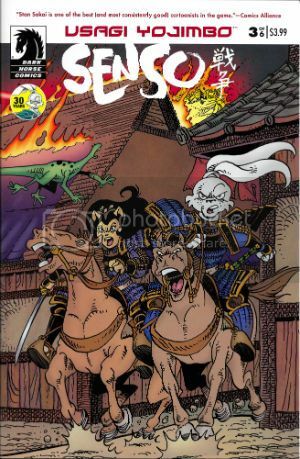 It isn't just the paper Usagi Yojimbo: Senso is printed on though. Basically, Usagi Yojimbo: Senso works because Usagi Yojimbo always works. For me, anyway, and, chances are high, it works for everybody if they give it a go. The great thing about Usgai Yojimbo is it is at once for all ages (this does not just mean children) and is so beautifully crafted that every fresh episode seems as timeless as a legend. VERY GOOD! 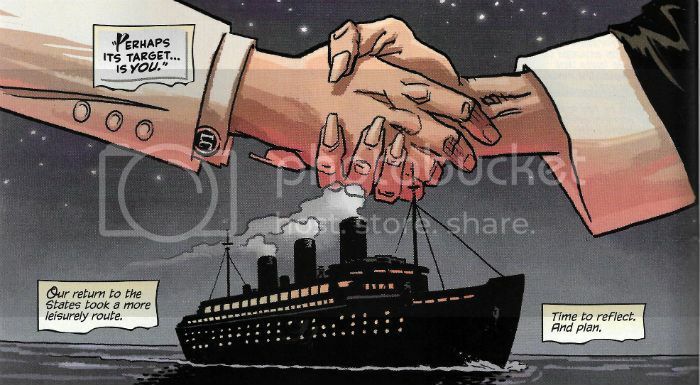 In June of 2014, after giving his handlers the slip, Howard Victor Chaykin appeared at Special Edition: NYC where he said many things which were true and beautiful. The truest and most beautiful thing his louche larynx exclaimed was, “The only man of my generation that's still producing work that's not a parody of itself is Walter Simonson. Simonson's doing amazing work.” In 2014 Ragnarok proved this to be as true as a very true thing indeed. Also earlier in that same year Starslammers reminded us that Simonson had been doing amazing work for so long that that very longevity was kind of amazing in and of itself. It shouldn't have been a surprise since he never went away but, well, welcome to Comics - where Brian Bendis is taken seriously and Walter Simonson is taken for granted. 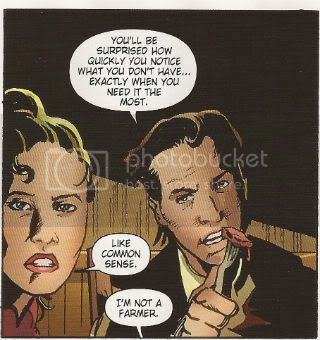 (Comics – it's a visual medium. Write it down somewhere. Jesus.) 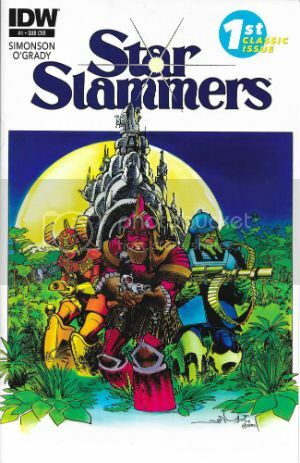 For its first three issues Starslammers reformatted and reprinted the Starslammers 1984 Marvel Graphic Novel. The level of skill already present in this “old” work proved to be ridiculously ostentatious. Even back then Simonson had such a sure grip on pacing and truly cinematic presentation he ran the risk of leaving bruises behind. 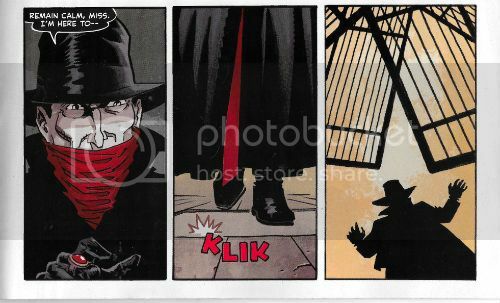 Also present, even back then, was John Workman's lettering; lettering so awesomely complementary that it became an inseparable and essential element of the stunning visuals on display. 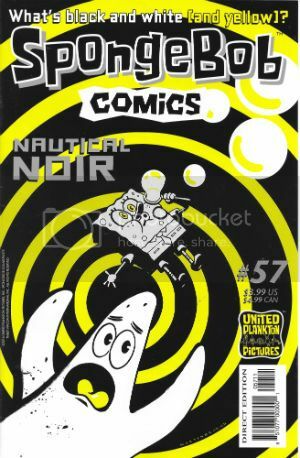 The remaining issues of the 2014 series re-presented the 1995 Malibu/Bravura Starslammers series. This was the first time the full series had seen print and so the rejoicing in my tiny head was loud indeed. This later material proved Simonson hadn't lost any of his magic but had learned a few new spells as well. Simonson's work now flirted so hard with abstraction his ability to refrain from tumbling into incoherence was stunning. 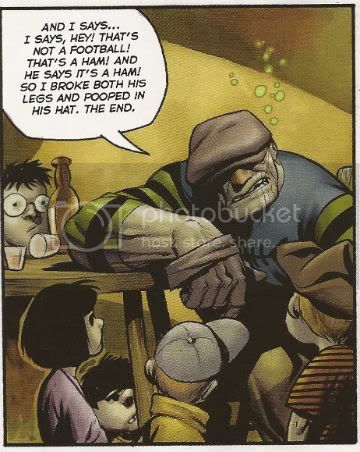 With Starslammers it might be an exaggeration to say that there was a lesson in comic art on every page but by the time Ragnarok rolled around such a statement was probably, if anything, selling Simonson and Workman short. 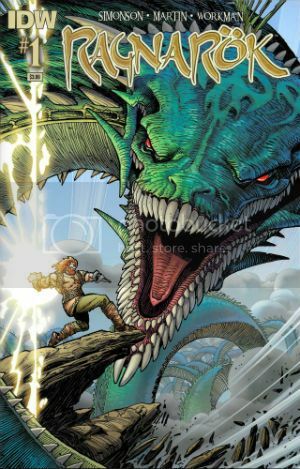 Sure, Simonson's stories are fun, solid and entertaining genre stuff, but, in truth, I read his comics for the storytelling. There may well come a time when the old Gods die but, ironically, Ragnarok proved that time isn't here yet. VERY GOOD! Basically I liked 'em because if either of those series were anything they were very definitely – COMICS!!! Hey, remember me telling you about our awesome 21st anniversary party, benefiting the CBLDF? 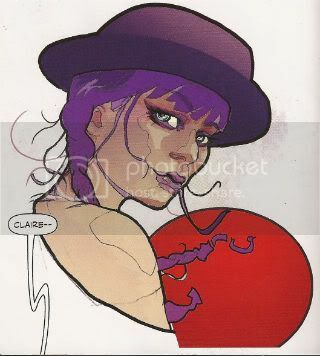 Well, as part of the party we're also having an art auction for the CBLDF. 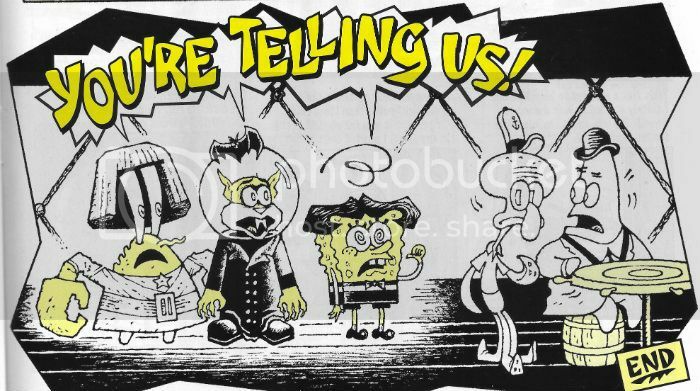 I sent out a bunch of requests (and had friends at IDW, Image and Fantagraphics send them out as well), but I've only received one submission so far. People Who Know say I shouldn't worry about not having any other submissions as of yet: "They're freelancers, they'll do it at the very last minute", but I thought putting up Stan Sakai's contribution might spur others to get on the stick. Let's see! See you April 3rd, we hope!